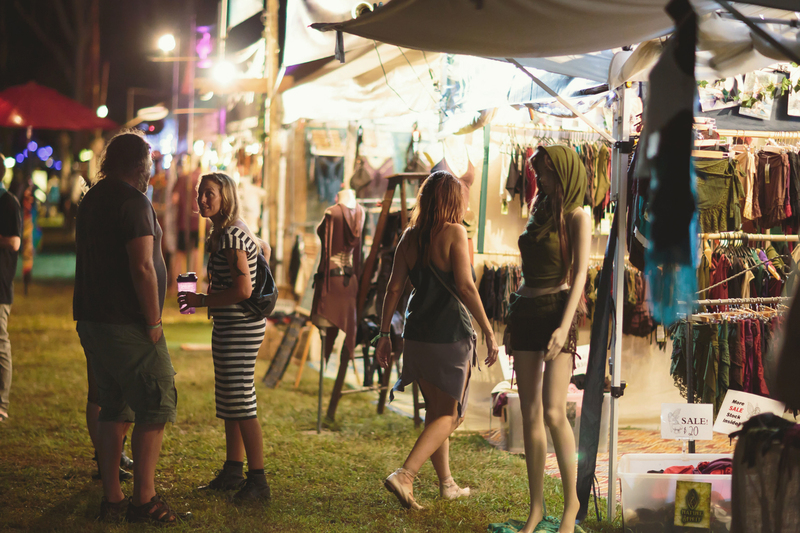 The Earth Frequency Market Place is positioned at the centre of the festival and is a thriving hub of food, art, fashion, jewellery, crafts and information. 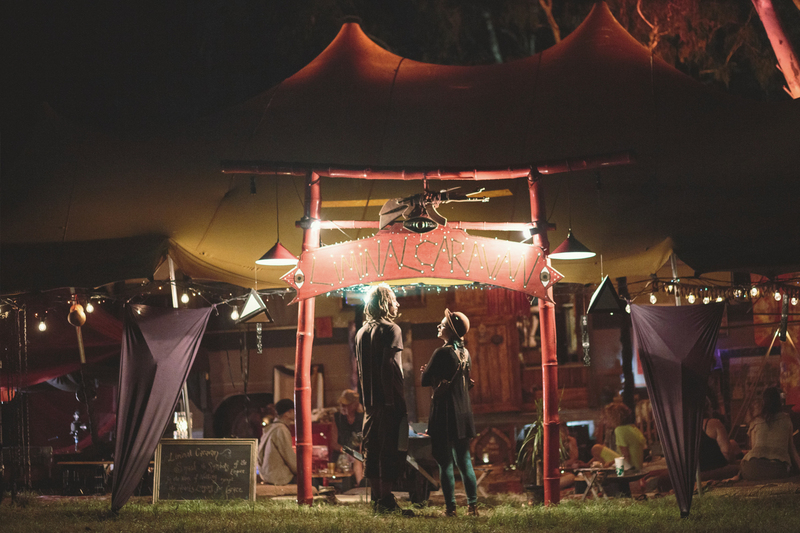 The market place provides a diverse sensory experience of carefully selected artisans and caterers, but it is also a bustling social experience, especially in the later hours of the night once the 3 big stages close down and it's time to have a meal and reconnect with your friends. The food stall selections prioritise quality healthy options for food and drinks, catering for all dietary sensitivities. 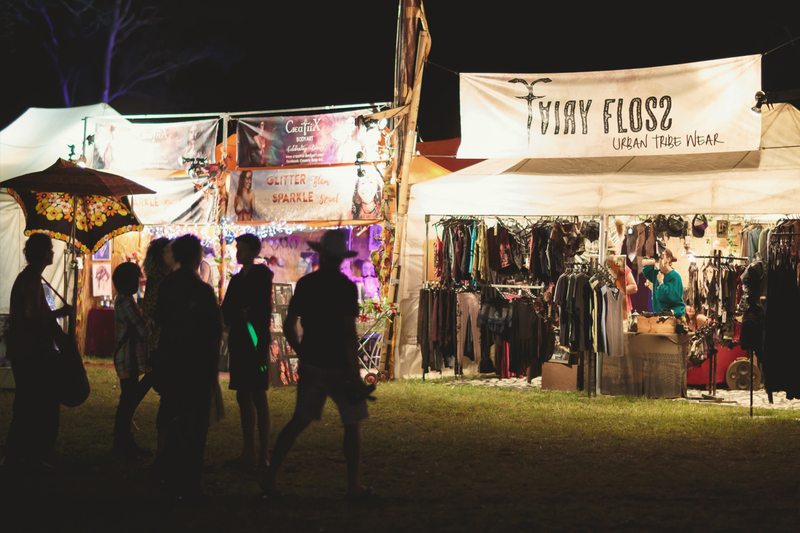 Locally based handmade and ethically produced wares are given preference in the vendor selection process, to ensure the markets at Earth Frequency match our core values, and provide a truly unique and appealing market experience. Earth Frequency also offers a number of free or significantly discounted stall spaces to environmental groups and local charities that we support. Stall prices and size options are listed in the application forms. If your application is successful, our market stall coordinator will be in touch with further information. Market Stall applications close on December 31st, but we recommend getting in earlier as we will be sending out offers starting in August on a first in first served basis. Food / Beverage, Massage / Healing and Charity / Information stall applications are now closed. There are a few remaining stall spaces available for fashion/craft/art/jewellery stalls and so applications are still open.